Looking for different arts and culture offering in town? 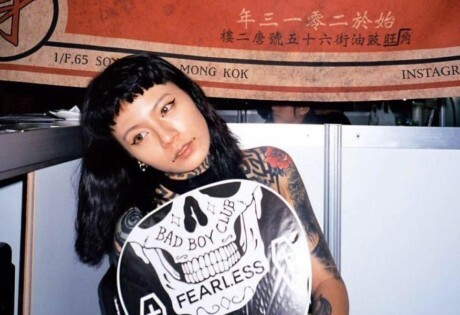 We enjoy browsing at different Hong Kong bookstores and art galleries, as well as checking out a fascinating array of creative courses such as the pottery workshop. 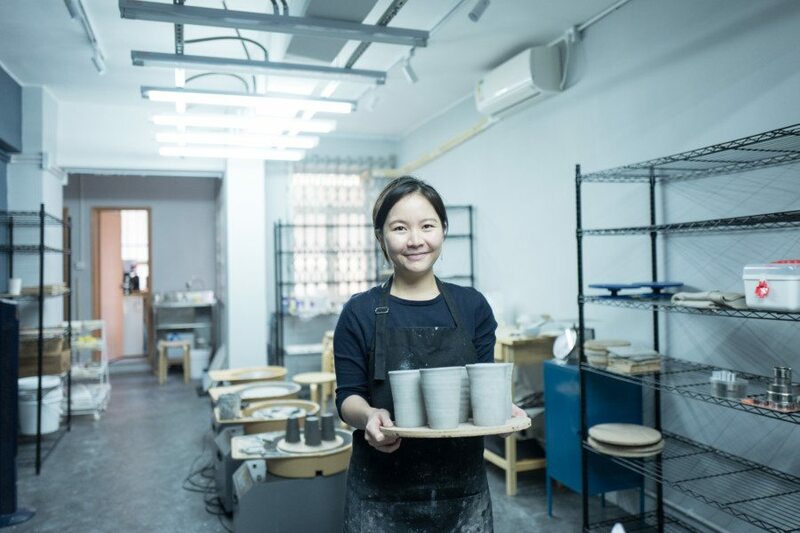 Deer Workshop is a newly-opened pottery studio in Sham Shui Po that offers pottery classes for all age, as well as hand-painted and customised pottery ceramics online. 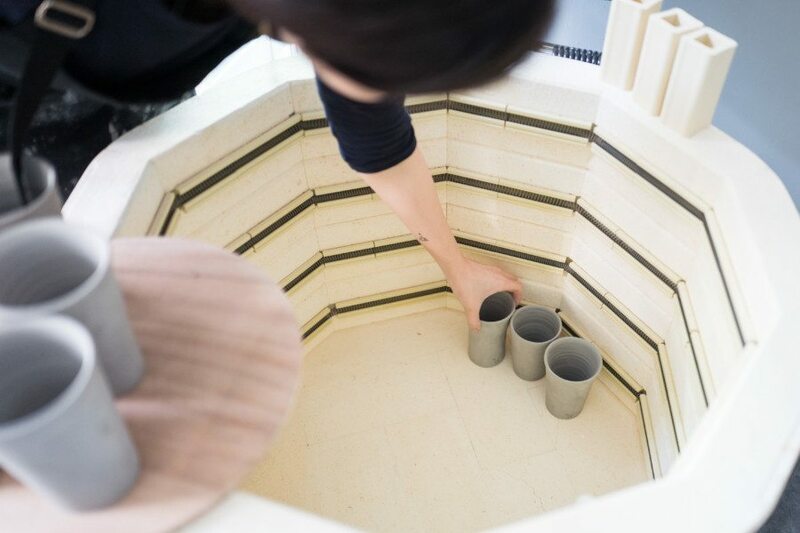 We spoke with Carol Luk, founder of the studio, about finding ways to unwind and calm your nerves through throwing magic on the wheel and the challenges of being a pottery teacher. Hi Carol. Thanks for inviting me to your studio. When were you first exposed to pottery making? When I was studying my higher diploma in fine art, I enrolled in several art courses at Hong Kong Art Centre. During that period, it was a bit crazy, I would spend the entire day on the pottery wheel, sometimes from 9:00 am to 9:00 pm. Through a lot of hard work, I got into The Chinese University of Hong Kong to continue my fine art study. There’s a small pottery studio at the school, and I would spend a lot of time over there. In university, there weren’t many pottery ceramics courses, but I learnt a lot about sketching, sculpture and photography. Sculpture heightens your sense and sensitivity to three dimensional spaces, while sketching exercises teach you how to move swiftly with your hands and with force. 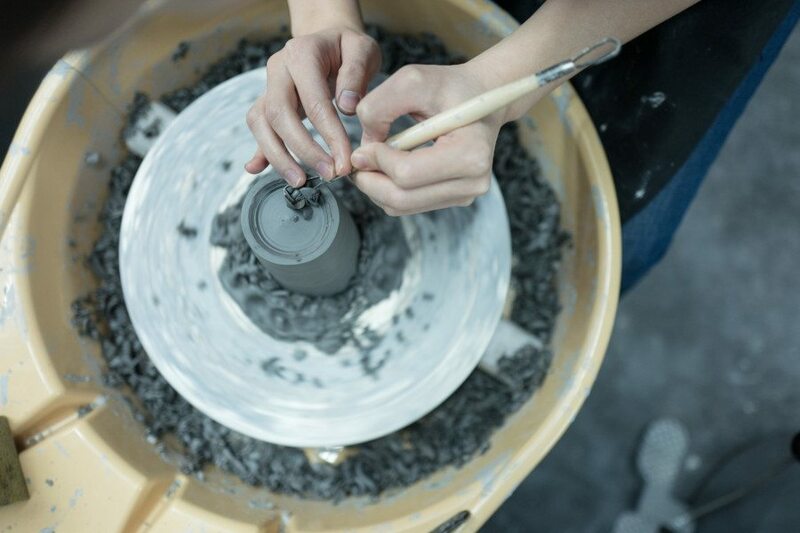 These are valuable skills that make you a better potter. How was life before opening up a pottery workshop? When I graduated from CUHK, I started working for a non governmental organisation that teaches people with intellectual disability different social and living skills. I was in the art department, so what I did was to teach them how to make simple small ceramics plates or bowls, which they can then sell to different corporates or showcase at different charity art fairs. After two years of being in the workforce, I’d saved up some money and finally decided to open my own pottery workshop. What do you like most about pottery? I always have a hard time concentrating. There are thoughts and ideas constantly swimming around in my mind. But ever since I got into pottery making, I can finally focus on one thing and finish it. The process of throwing a pot on the pottery wheel requires full concentration, and I enjoy the feeling of dedicating myself to something that creates an immediate sense of serenity within me. What do you want people to feel when they walk into Deer Workshop? People nowadays are often preoccupied with work and other responsibilities which causes a lot of stress. Pottery making in a way is the communication between your hands and your brain, so it’s a great way to halt your violent train of thought. I tried to make this place as cosy and calming as possible, with the walls painted in dark blue and grey – the grey paint is called London Mist, very romantic and soothing – so when you’re here for a two-hour workshop, you can pack your troubles and leave them all behind. I hope people who come in can see Deer Workshop as a safe haven to relax and loosen up. Why is it called Deer Workshop? My last name is Luk, which is the homonym of Deer in Cantonese, a lot of my friends call me Siu Luk – meaning Little Deer. Deers are the kind of animals that oftentime separate from their herd and operate alone, but they can also adjust and adapt for their community. 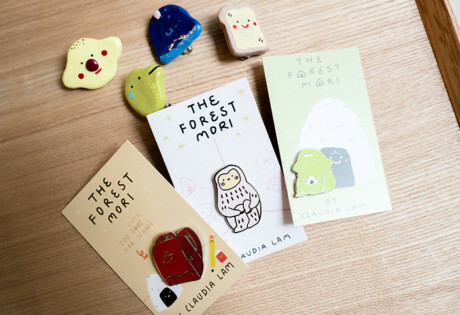 Deer Workshop is located in the heart of Sham Shui Po, there are also a small gallery and a cafe downstairs. I hope Deer Workshop can stands on its own as a great creative space, at the same time making contribution to the art community here. I’m still trying to figure that out. For now, I think it would be colours. 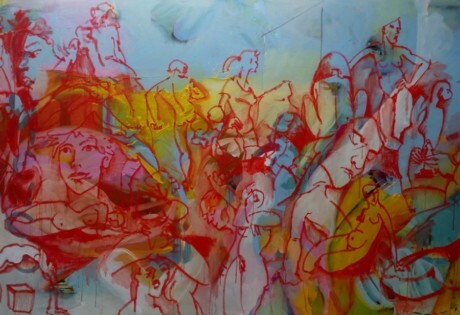 I hope to see a diversity of colours and contrasts in my work. In pottery, each paint requires specific ways of mixing and complicated procedures. It’s not easy to create a recipe for each and every colour, so I’m still experimenting. Are you working on any side projects that you would like to tell us about? When I was in university, my close friend Clara and I started a project called Sellwords in 2012. She’s the brain and I work the logistics. It ended up growing well. So when I started Deer Workshop, my first job was to collaborate with Sellwords. I make the cup and she leaves her lovely handwriting on top of it, and you can customise your own with different verses. For us, a warm cup of tea brings emotional security and comfort. Even though we don’t live in huge homes, I hope the cup will make you feel relaxed after a hectic day at work. What do you think is the most important quality for a teacher to possess? For me, my priority is to let my students at Deer Workshop grow interest in pottery. It doesn’t matter whether he or she is young, old, talented, or less gifted. I hope they don’t end up feeling like pottery making is a difficult task, but rather see it as a fun hobby. It’d probably be patience. I’ve worked in retail before, so I have had experience in customer service. I understand the importance of coping with different types of personalities. I’m also teaching a pottery class at an elementary school, as pottery is part of their visual art syllabus. There will always be students who don’t listen or follow the instructions, who end up failing and crying for help. This is very common and it really is not a big deal. You just have to be patient. Whose work do you most admire in the field of ceramics? London-based potter Florian Gadsby, his stuff is always of perfection and flawless calculation. And Brooklyn-based ceramicist Helen Levi, her work is beautiful and harmonious, characterised by distinct waves and swirls and roundness. I know you’re a big fan of music – that’s why we’re friends – what do you usually listen to when you’re trying to be creative on the pottery wheel? Mostly classical music like Claude Debussy and Franz Liszt, and I love indie bands like My Little Airport, Belle & Sebastian, Daughter and Massive Attack – especially after their amazing performance at Clockenflap 2017 (laughs). Any interesting or special moments before settling into your new studio? 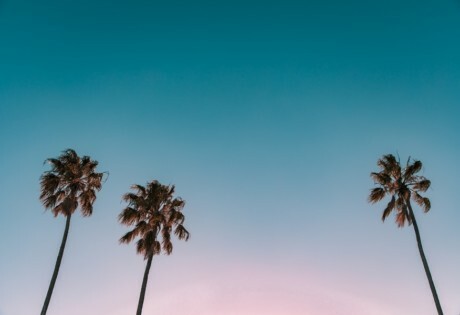 It was difficult to start up a studio by myself, talk about the redecoration of the place, moving furniture and equipment around… When my twin brothers found out that I was starting my own business, they were really supportive. From heavy lifting to putting the pieces of decor together, they volunteered to help as much as possible. I really appreciate what they did, it was very heartwarming. With teaching workshops emerging in Hong Kong, how do you situate Deer Workshop? 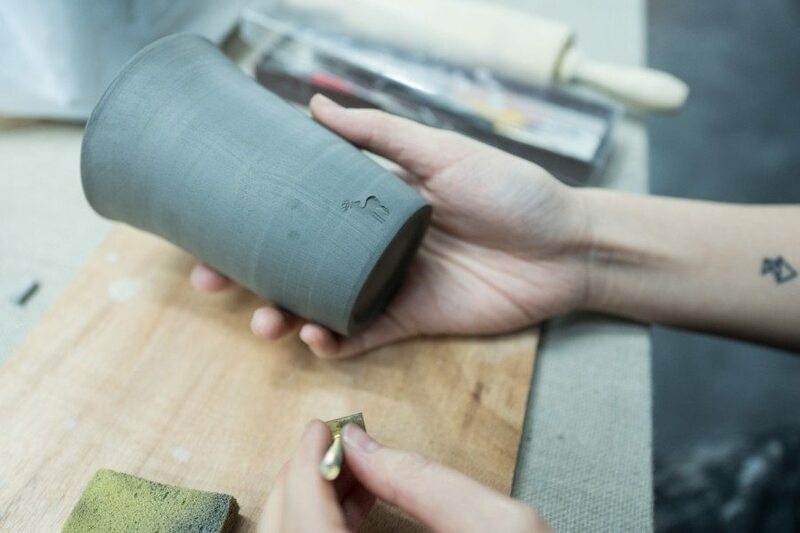 There are some studios in Hong Kong that serve as a training ground for students to win external competitions, such as the annual Tea Ware by Hong Kong Potters Competition. 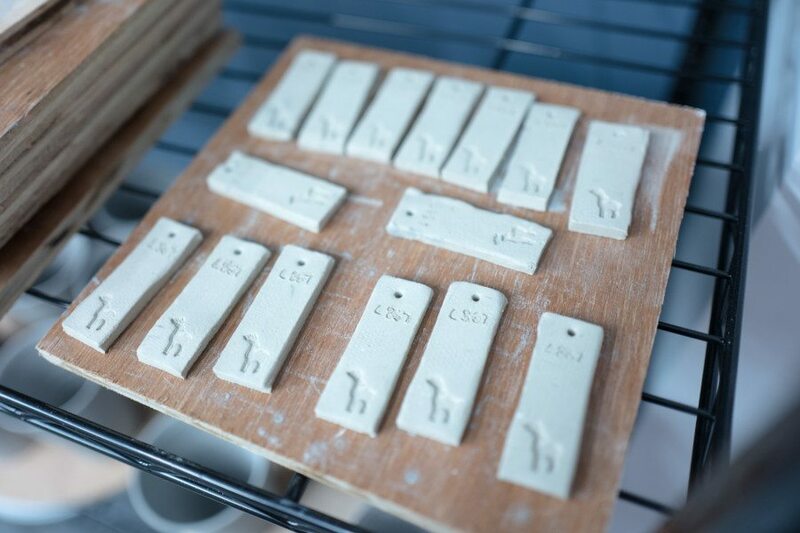 Some studios specialise in creating ceramics with decorative accents. For Deer Workshop, I just want my students to enjoy the process. 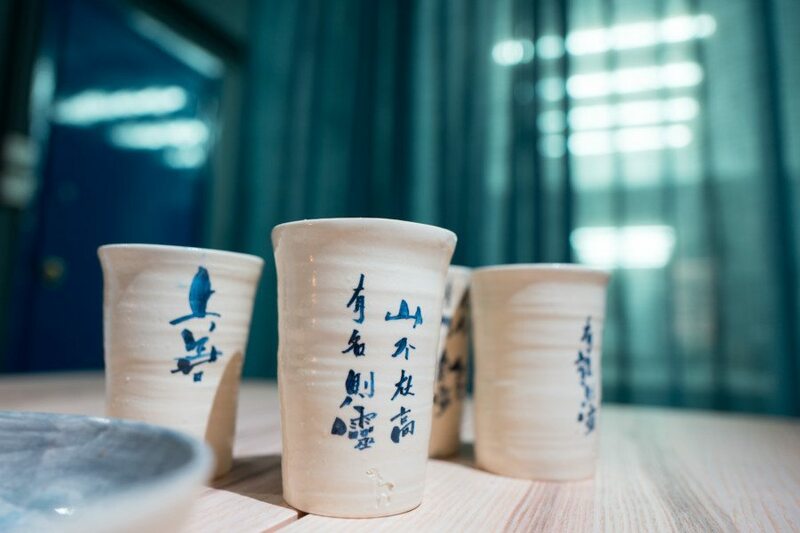 Even if the end product isn’t perfect, they’ll have a great time trying new things, and maybe find new ways to get in touch with their emotions through the art of pottery making. 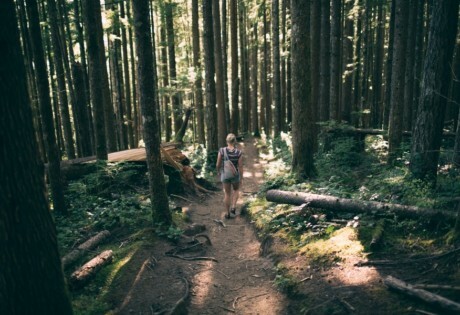 Liked Deer Workshop and want to discover more cool places in town? Meet different animals at Holiday Farm, sample the best pizza at edgy pizza bar Homeslice or explore the newly-opened arts space The Mills.